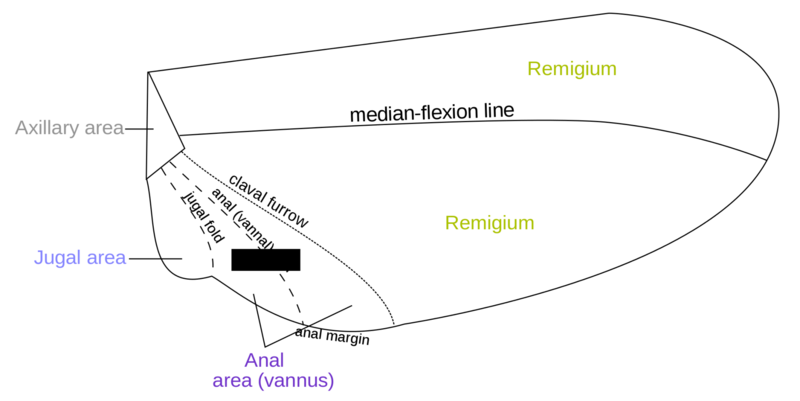 The following diagrams outline common characteristics found in insect anatomy, including detailed parts of wings, legs, and head. Three parts of an insect: head, thorax, abdomen. Humans have a head, torso (similar to thorax) and abdomen. Spiders have a combination of head and thorax (cephalothorax) and abdomen. This house fly drawing illustrates mouthparts and wing and leg segments among other characteristics. Note that halteres are unique to flies and are used for balance. Flies, unlike many other insects, only have one pair of true wings. 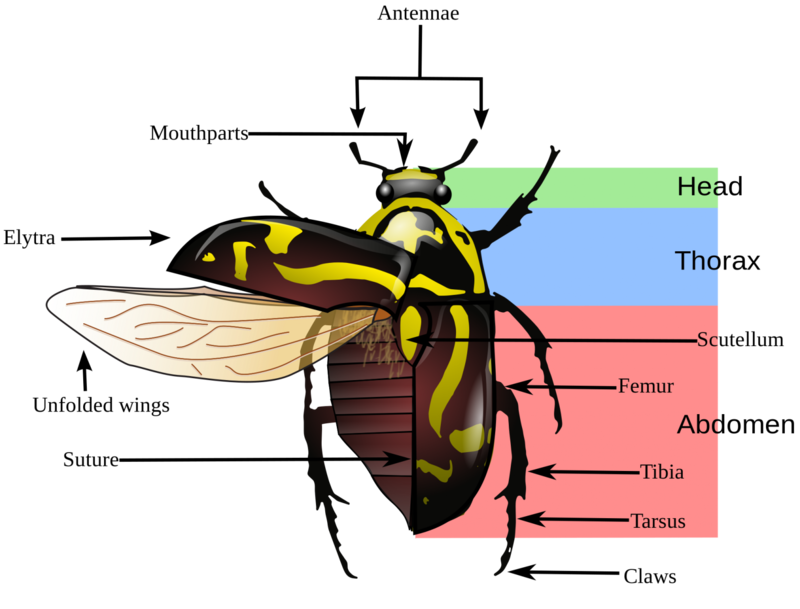 This illustration shows general areas of an insect wing. Example of typical beetle morphology, including elytra (hard outer wing), membranous underwing, and leg sections.